Of all the public faces of Full Tilt Poker, Phil Ivey and Tom ‘durrrr’ Dwan are performing well short of their pre-Black Friday high stakes levels. Meanwhile, Patrik Antonius continues exactly where he left off. Full Tilt Poker has basically always been considered a haven for online high stakes poker, with the best cash game players usually collecting dollars in this room. Before the Black Friday, FTP pros used to make up the majority of the elite of high stakes poker and even among them, Phil Ivey, Tom ‘durrrr’ Dwan and Patrik Antonius were considered the best. 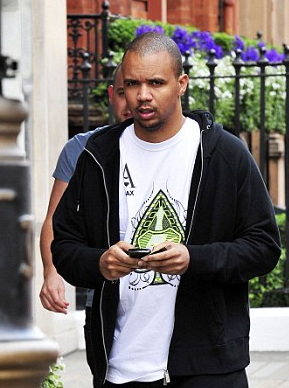 After taking legal action against the Crockfords Casino of London, the establishment withholding his £7.8 million in winnings, poker legend Phil Ivey has now admitted that he had indeed been able to exploit a design flaw of the cards in his baccarat game. Still, he denies cheating. Last year, Ivey enjoyed the hospitality of the prestigious Crockfords Casino in London, playing Punto Banco on the £50,000 stakes. After being allowed to raise the bet per hand limit to £150,000, he played for two consecutive nights and ended up with £7.8 million in winnings from the baccarat game. After getting back his buy-in, Ivey received a receipt for his winnings but got eventually notified of a pending investigation against him, being under suspicion of collusion. Even though still regarded as the best poker player alive, and definitely part of the all-time elite, Phil Ivey has recently shown signs of a serious downswing. Since playing Full Tilt Poker again under the ‘Polarizing’ screen name, he has lost over $3 million. First cashing in a live tournament in 1998 and scooping in no less than nine WSOP bracelets since, Phil Ivey has become a living legend of poker, one of the all time top pros and considered by many the single best player alive. His live winnings total at $17,649,220 and the $19,242,744 in online cash game profits under his own name at Full Tilt Poker make him the biggest online winner ever. Nevertheless, his most recent results continue to disappoint. Gus Hansen entered the UK versus Ireland heads-up championship in the United Kingdom and Ireland Poker Tour Galway stop as an honorary Englishman but won the event in the green colours. The Galway stop of the United Kingdom and Ireland Poker Tour (UKIPT) runs from 27 July through 12 August. Among the many events of the Full Tilt Poker-sponsored tourney, a prestige game is also organised: a heads-up gala featuring the UK versus Ireland. 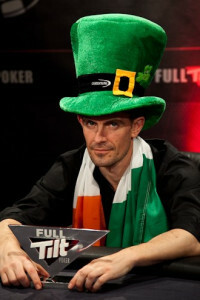 FTP pro Gus Hansen also participated in the €1,100 tournament, starting as an honorary Englishman. Still, as the game progressed, he switched sides and finished in the Irish colours.